The FP16 Arch Pacific Energy | Zero Clearance Fireplace lets you enjoy the fire through a large classic arched door. 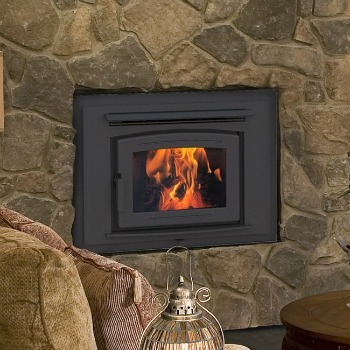 This arched fireplace is crafted for a lifetime of hassle-free, clean wood heat. 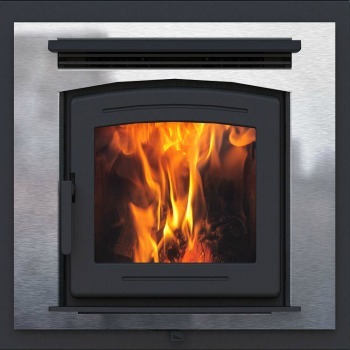 Highly efficient, the FP16 Arch is power-driven by the famous floating firebox, extreme capacity baffle system, and EBT2 for prolonged burn times. 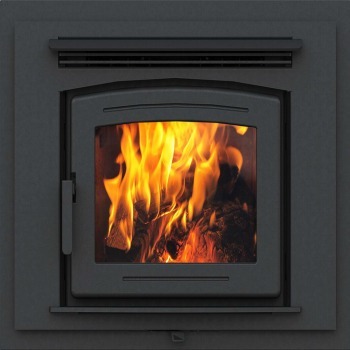 Tailor the look of your fireplace by selecting either a Metallic Black or Stainless Steel trim. Log Size (recommended): 16–18 in.